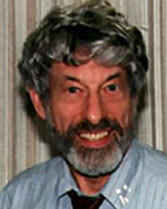 Bruce Rosenblum is Professor Emeritus of Physics and former Chair of the of Physics Department at the University of California at Santa Cruz. He is a coauthor of Quantum Enigma: Physics Encounters Consciousness (Oxford University Press, 2006). The text below is an edited transcript of a conversation between Thomas McFarlane and Professor Rosenblum in March of 2007. This document is copyright © 2007 by Bruce Rosenblum and is published here with his kind permission. Thanks to Mora Dewy for transcribing and proof-reading this interview. Tom McFarlane: Your book Quantum Enigma impressed me because it addresses the mysteries of quantum physics in a very accessible way while staying firmly grounded in physics. This kind of book is somewhat unusual for an academic physicist to author. So I am curious to know what led you to a career in physics, and eventually to writing this book. Bruce Rosenblum: How did I get into physics? Well, my flip answer is, “At an early age I was interested in God and automobiles.” Not religion or fast cars, but God in the sense of “How did the universe come about?” and “What does it all mean?” I remember even as a child wondering about how far away are the stars, and how did they get there. And, when I was young, you could work on a car yourself; they were simple enough. I like wrenches and don’t mind getting dirty. I did everything you could possibly do to a Model A Ford. Physics is, in a sense, where God and automobiles come together. And I guess it’s not too surprising that after wandering for most of my career through various branches of physics I should end up with the foundations of quantum mechanics. My family was not religious. But my father wanted his kids to know something about religion, because we weren’t taught it in school. I still have Gustave Doré’s great Bible in Pictures. Dad read it to us when we were young. He wanted us to know what people believed. He never said it was true or wasn’t true. I assumed that these were stories that some people believed. When Einstein tried to raise these [philosophical] issues that evening we didn’t know what he was talking about. We had never heard of the philosophical issues raised by EPR. Einstein was disappointed with us. ...That evening with Einstein surely motivates my now coming back to those questions. Although we had studied both graduate and undergraduate quantum mechanics, when Einstein tried to raise these issues that evening we didn’t know what he was talking about. We had never heard of the philosophical issues raised by EPR. Einstein was disappointed with us. It was embarrassing. Not having been able to talk with Einstein about his views on quantum mechanics was even more upsetting years later. That evening with Einstein surely motivates my now coming back to those questions. Anyway, after graduate school and a post-doc year at Berkeley, I worked for a decade at the labs of a large electronics company. Though I constantly used quantum mechanics in my work, I never thought much about what it meant. Later, after coming to UCSC, though my work on superconductivity critically involved quantum mechanics, I thought only peripherally about its philosophical implications. But eventually it was my turn to teach a physics course for liberal arts students. I thought that a course focusing on the mystery of quantum mechanics would be interesting to students, and it would give me an opportunity to explore something long in the back of my mind. The more I looked into it, the more interested I got. Then Fred Kuttner, a kindred spirit, joined the faculty, and we started writing some technical papers, and then our book. Now I’m officially retired, so Fred teaches the Quantum Enigma course. But we still work together on technical stuff. As an aside, since we’re the two faculty members with serious industrial experience, Fred and I also co-teach a course called “The Physicist in Industry”—how to get a good job and do well in it. Tom: So how was the Quantum Enigma course received by the faculty and by the students? Bruce: When I first proposed it, one faculty member objected: “What you want to say is technically correct, but presenting this material to non-scientists is the equivalent of allowing children to play with loaded guns.” His concern was that if we told non-science students the strange things physics says, they’d become susceptible to all sorts of nonsense. My reply at the moment was, “I’ll teach gun safety,” meaning that we’d discuss the criteria for accepting something as reliable science. That’s less of a problem, one would think, with science students. But I think the mystery of quantum mechanics is important for physicists to understand, or to be aware of at least. If physicists don’t address the quantum mysteries and honestly tell others what we know and what we don’t know—what is mysterious—then we concede the field to the purveyors of pseudoscience. In any event, the Quantum Enigma course, and later our book, tells of something generally avoided in physics courses. The Quantum Enigma course has been going on for 15 years. It’s actually the most popular course in our physics department with the students. Faculty, by and large, just ignore it. But that is not so unusual. In a research university most faculty pay little attention to courses they themselves are not teaching. Tom: The fact that this mystery is coming from the very well-respected discipline of physics seems quite significant. Many people look to physics in our culture as an authority on what’s real. So a mystery in physics is especially exciting. Bruce: Apparently. The title of our book is Quantum Enigma: Physics Encounters Consciousness. We don’t pretend to resolve the enigma. But we do bring people to a point where they can clearly see the enigma. We say physics “encounters” consciousness. We bring you to the point where you can recognize that encounter, and see it as clearly as any physicist can. In fact, physicists have a particular problem seeing the mystery, a problem that most non-physicists don’t have. “Encounter” to many physicists implies a physical (or perhaps even mechanical) encounter. The encounter we tell of is more subtle, and more mysterious, than that. But since the inception of quantum mechanics, the experts on the foundations of the theory almost invariably raise the issue of consciousness and the related issue of free will. Many physicists, particularly those who are not seriously involved in the foundational problems (or not even aware of them), are upset by talk of this “encounter.” Much more so than non-physicists. Our book upsets some older physicists. Younger ones usually seem to like it. Banesh Hoffman, a biographer of Einstein wrote, I think in the ’50s, that any non-tenured physics faculty member who showed the slightest interest in the foundations of quantum mechanics would endanger his career. That’s less true today, but there’s still an element of it. Why does a discussion of consciousness rouse emotions with physicists? Interesting question. I’m no sociologist, but there seems to be an opportunity here for a graduate student in social psychology. It could be a beautiful thesis topic. He or she could just read some popular books on quantum mechanics, and then interview physicists on this and analyze their responses. It could not only be a good thesis, it might be publishable as a popular study. Tom: In the public sphere, it’s recognized that there are mysteries of quantum physics. But there doesn’t seem to be as much mystery around other areas in physics, like Einstein’s theory of relativity, for example. It’s very counterintuitive in some ways, but there’s no controversy about interpreting relativity. The more you understand quantum mechanics, the less reasonable it seems. ...It’s beyond merely counterintuitive. It’s baffling. Unbelievable, really. It presents us with unsolved enigmas. Bruce: Relativity, as you say, is counterintuitive. But the more you understand relativity the more reasonable it seems. On the other hand, the more you understand quantum mechanics, the less reasonable it seems. Quantum mechanics is basic to all of physics, and one-third of our economy depends on things designed with quantum mechanics; but quantum mechanics tells us—if we take it seriously—some very strange things. Tom: So why should it be, do you think, that one theory, relativity, becomes more reasonable as you study it, while another theory, quantum mechanics, becomes more mysterious as you study it? Bruce: Well, quantum mechanics says much weirder things. Relativity says strange things about time and space and energy. But quantum mechanics says unbelievable things about us, our consciousness, our free will, and the nature of our human involvement with physical reality. It’s beyond merely counterintuitive. It’s baffling. Unbelievable, really. It presents us with unsolved enigmas. There are actually three enigmas. I can identify them with the famous objections Einstein had to quantum mechanics. First, there’s Einstein’s famous statement, “God does not play dice with the universe.” Quantum mechanics says there’s a randomness underlying everything. Einstein didn’t like that. Nevertheless, he eventually accepted it. But when people, including physicists, want to quote Einstein’s objection to quantum mechanics, they usually quote that one, because it’s easy to understand. The other enigmas are the tough ones; they can sound ridiculous. The second enigma: Einstein, only half-jokingly, said, “I cannot accept quantum mechanics, because I believe the moon is there, even when I’m not looking.” Quantum mechanics seems to say things don’t exist when we are not observing them—at least no property of a thing exists before its observation. And what’s a “thing” beyond the sum of its properties? We can demonstrate, in fact, that if you look and find an isolated atom, any isolated object in fact, in some particular place, it wasn’t there before you found it there. You created the reality of its having been there. At least you could have chosen to create a different prior reality—a reality in which it wasn’t there. Einstein didn’t like that. A denial of unobserved physical reality is harder to accept than mere randomness. The third enigma: Einstein said, “I can’t accept quantum mechanics because it involves spooky actions at a distance.” Quantum mechanics says that what somebody chooses to do here can influence what happens far away without any physical force passing between them. Einstein did not like this at all, especially because the influence supposedly propagated infinitely fast. This is what his famous EPR paper was about. In 1935, when that paper was sent to Niels Bohr, Bohr’s assistant said, “It came down on us like a bolt out of the blue.” Bohr, a founder of quantum mechanics, and the principal architect of the Copenhagen interpretation, had not realized that quantum mechanics involved these “spooky actions,” that we now call “entanglements.” Bohr’s response was that “spooky actions” do exist, but he called them “influences.” They’re there even though no physical force is involved. Einstein thought the physics community would reject that claim, but they were too busy using quantum mechanics to worry about “mere philosophy.” There seemed no way to ever resolve the difference between the views of Einstein and Bohr. It seemed a philosophical issue. Einstein’s two serious objections to quantum theory are that the theory says that: 1) observation creates reality and 2) there are instantaneous interactions between arbitrarily remote events. About 30 years later, John Bell showed that whether or not these spooky actions existed was not just a matter of philosophical outlook; it was actually something that could be tested. And then a young post-doc, John Clauser, figured out a way to test it. Bell hadn’t expected it to be tested for decades and was surprised when someone figured out a way to actually do the experiment. Clauser’s experiment showed that Einstein’s “spooky actions” did indeed exist. He expected the experiment was going to show that they did not exist, and therefore quantum mechanics was wrong. That would have established the theory’s first-ever incorrect prediction—perhaps worth a Nobel Prize. So he was disappointed. So, to summarize, Einstein’s two serious objections to quantum theory are that the theory says: 1) that observation creates reality and 2) that there are instantaneous interactions between arbitrarily remote events, interactions not caused by a physical force. The experimental demonstrations in the book displaying why the theory says these things are absolutely do-able. I like to say “demonstrations” rather than “experiments” because the outcomes are all known. The almost unbelievable results can be displayed without ever talking about quantum theory. The actual physical results we tell of are completely undisputed. You can look at these undisputed results and draw your own conclusions on the extent to which consciousness is involved. You will see an enigma involving free will. Tom: So let’s talk in a little more detail about the observer-created reality. First of all, even though interpretations of quantum mechanics are very controversial, would you say that the dependence of reality on observation is pretty much an undisputed fact? Bruce: Yes. But I should qualify. A disputed issue is: What should we regard as constituting an “observation”? If a photon encounters an atom, does the atom observe the photon? No. We can prove that the atom and the photon together do one thing and simultaneously do not do it. They form a “superposition” state. The atom has not observed the photon. Quantum mechanics, strictly speaking, says that if a measurement device, such as a piece of photographic film, is isolated from the rest of the world, then, no matter how big it is, as long as it’s isolated in space and unobserved, the device does not observe. If a measurement device...is isolated from the rest of the world, then, no matter how big it is, as long as it’s isolated in space and unobserved, the device does not observe. In 1932, von Neumann—a mathematician, physicist, and father of the modern computer—showed that if a quantum system (say, an atom) interacts with another quantum system (say, an isolated Geiger counter), then, as long as it remains isolated, the Geiger counter goes into a superposition state in which the Geiger counter has both observed and not observed the atom. And if another physical instrument observes the Geiger counter and that other instrument is also isolated, it joins the superposition state. Von Neumann showed that, as long as quantum theory holds, only when the result encounters consciousness (the “abstract I” as von Neumann calls it) can the superposition collapse (in some unexplained way) into a single actuality. We know it becomes a single actuality only because that’s what we consciously observe. An encounter of physics with consciousness was recognized way back in 1932, almost at the very beginning of quantum mechanics. But when teaching quantum mechanics to physics students, physicists (including myself) like to emphasize that for all practical purposes any macroscopic device “observes.” Most physicists who are not involved in the foundations of quantum mechanics would say that only “practical” purposes are relevant. Tom: Obviously, in order to measure something you need to interact with it to some extent, and so there is a disturbance of what you are measuring by virtue of the fact that you’re interacting with it. But in quantum mechanics it’s more subtle than just a disturbance. Is that something you can elucidate with the illustration from your book, using the two boxes? Bruce: First, here’s a quote from Pascual Jordan, a founder of the theory: “Observations not only disturb what is to be measured, they produce it. ...We compel [the particle] to assume a definite position.” This quote is from a standard quantum physics textbook. The book says this on page 3, but then goes on to treat the theory mathematically. Students pay attention to the tough mathematics, and generally ignore the strange “metaphysical” implications (which I assure them will not be on the exam). Our book illustrates this “metaphysics” with a schematic of an actual demonstration. ...Our treatment brings in no quantum theory; it’s quantum-theory-neutral, but it displays a quantum enigma challenging our notion of physical reality. Now I’ll try to describe the boxes illustration you mention. Our book illustrates this “metaphysics” with a schematic of an actual demonstration. (The simple version we describe can actually be done, though it is technically tricky. The logically equivalent demonstration, called the “double-slit experiment,” is done all the time, even as a lecture demonstration.) Our treatment brings in no quantum theory; it’s quantum-theory-neutral, but it displays a quantum enigma challenging our notion of physical reality. Take a pair of boxes and send a single object into this pair of boxes. (The objects actually used have been photons, atoms, big molecules, large collections of atoms, etc. It gets harder with bigger things. But quantum mechanics supposedly applies in principle to anything—baseballs, the universe. To be general, we talk of “objects.” We leave open whether they are hard, compact things or fuzzy clumps of cloudy stuff.) We collect a set of identically prepared box pairs. You have a choice now. You could do either of two experiments. In the book we tell the details of how this is done. I can’t really describe it understandably in just a few words. By choosing the first experiment, you demonstrate, prove, that the object had been in both boxes simultaneously. But by freely choosing, instead, to do the second demonstration, you could have demonstrated that the object was in a single box and the other box was absolutely empty. This sounds contradictory. It is. Presented with a set of box pairs, you could choose to prove either of two contradictory things. What was the real situation of the object before you decided which experiment to do? Was the object in both boxes, or wholly in one? You could prove that each box pair contained one object equally in both boxes. Or, if you want, you could prove that each object was wholly in one box or the other. Doesn’t that sound contradictory? (I’m being repetitious, but emphasizing something hard to believe.) Your free choice, at least what you did with it, had an influence on physical reality—at least the physical reality that existed immediately before you did the experiment. And that past reality determines the future situation. Tom: So, we can choose to do either one of these experiments, but what we will be able to say about what was objectively there before we did the experiment will depend on which choice we make. Bruce: True. The observation we freely chose to make creates the immediately prior history—and thus its consequences. But I don’t pretend to really understand what’s going on. Nobody does. Tom: But, once we make a choice of which experiment to do, there’s no sense in which we’re controlling a particular outcome of the experiment that we chose to do. For example, which box the object appears in, or what the interference pattern will be. Bruce: True. Although you can determine by your choice of experiment the nature of immediate prior history (for example, whether the object was a “fog ball” simultaneously in both boxes, or a compact object concentrated in a single box) and the consequences of that prior history, you can’t control which box it will be in. Bruce: True. Although I suppose I create my own psychological reality to some extent, I can’t really do psychokinesis. Tom: So, it’s not like consciousness causes the object to manifest one way or the other depending on my intention. Someone who doesn’t know anything about the theory of quantum mechanics can just look at that demonstration and say that, somehow, as long as I believe I could have done something other than I did, I could have established a different physical reality. This is how physics encounters consciousness. Bruce: Somehow, before you looked in a box, this isolated object wasn’t there. So observation has an effect. The one thing that this demonstration depends on, the reason it’s weird, is that you believe that you could have done something other than you did, that you have free will. You could have demonstrated, proven, a reality that contradicts the reality that you actually proved. How do you deal with that? One version of the Copenhagen interpretation says that physics doesn’t have to explain the results of experiments or demonstrations that you have not in fact done. It just has to explain the outcomes that you actually saw. This is a denial of what philosophers call “counterfactual definiteness.” OK, that’s a “resolution” of the problem, but somehow I feel that if I didn’t eat lunch today, I’d be hungry. And I think it’s a meaningful statement. I believe in counterfactual definiteness. Isn’t our whole legal—and moral—system based on that? I like to emphasize that we don’t need any quantum theory to show that physics has encountered consciousness. The demonstration can actually be done with the boxes without talk of quantum theory at all. Someone who doesn’t know anything about the theory of quantum mechanics can just look at that demonstration and say that, somehow, as long as I believe I could have done something other than I did, I could have established a different physical reality. This is how physics encounters consciousness, by raising a question about free will and consciousness. It’s a mystery. We don’t presume to explain it, or consciousness. I don’t know what consciousness is, but physics has mysteriously encountered it. John Bell has said that the explanation will likely astonish us. Tom: You said earlier that we can only demonstrate this effect for isolated objects, for objects that are not being observed before the observation in question. So when you say we need to isolate the object, are you saying, to put it in more technical terms, that there can’t be any decoherence going on? Bruce: Yes. If there’s too much “decoherence” then the system gets too complicated to demonstrate this. For example, if I have a photon and it interacts with an isolated atom we can show that the atom has not observed the photon. But if that atom then hits a second atom and a third and a fourth and a fifth and a hundredth atom, it’s for all practical purposes impossible to demonstrate that lack of observation because of the so-called decoherence. Tom: There have been headlines that I’ve noticed about experimental demonstrations of multi-atom systems being in superpositions—in two places at once. The oldest version of the Copenhagen interpretation said that quantum mechanics applies only to the microworld, the world of atoms and photons and electrons. The world of “big things,” of dust particles, of cars, Geiger counters and people, obeys classical physics. To live with the weirdness of the microworld, this version of Copenhagen just said the microworld is not “real,” it’s just theoretical, a mental construct. It said we don’t have to think about the reality of this quantum world because there is a clear distinction between the two worlds. There was a vast no-man’s-land between the microworld and the macroworld. Well, that was then, this is now. The no-man’s-land is today largely occupied. The oldest version of the Copenhagen interpretation said that quantum mechanics applies only to the microworld, the world of atoms and photons and electrons. ...[But] the boundary between the macroscopic and the microscopic is now almost non-existent. This is a problem for the Copenhagen interpretation. Bruce: True. It’s more difficult to dismiss the weirdness because the boundary between the macroscopic and the microscopic is now almost non-existent. This is a problem for the Copenhagen interpretation, which says, “Don’t worry about it, because for all practical purposes, atoms are just theories, and we just talk about the observation with macroscopic equipment.” Copenhagen is fine if we just want to do practical things and not worry about any deeper meaning. A version of Copenhagen explicitly says we only have to worry about the experiments we actually do, not what we might have done. The only problem with that is this troublesome feeling that we have free will. Tom: For millennia, supposedly, humans walked the earth and never noticed these mysterious effects because decoherence hides it from us and, as you were saying earlier, we need to isolate these quantum systems in order to be able to demonstrate the interference effects. So, that’s why people can get away with saying “for all practical purposes,” sweep these mysterious effects under the rug, and just go on with life. But on the other hand, if you look closely at the fundamental level, they are unavoidable. Bruce: I’d agree with that, although some of my colleagues would disagree. Most physicists not involved with the fundamental problems of quantum mechanics like to avoid the issue by saying that the theory of decoherence has solved the problem. But most experts in the foundations of quantum mechanics would say that decoherence resolves the problem only “for all practical purposes.” For example, John Bell abbreviates “for all practical purposes” as FAPP, and warns against falling into the FAPP-TRAP of thinking that a for-all-practical-purposes solution resolves the enigma. Zurek, probably the leading theorist of decoherence, recognizes this when he writes that the ultimate solution to the problem of measurement must involve “a model for the conscious observer.” Wigner, quoted more completely in our book, says “It was impossible to formulate the quantum theory without reference to the consciousness.” Von Neumann was perhaps the first to point that out explicitly. Bernard d’Espagnat, a quantum mechanics theorist, in an article in Scientific American, notes that consciousness arises not just in the theory, but in the actual experiments, independent of the theory. Though you might want to evade the encounter, every interpretation of quantum mechanics encounters consciousness, meets consciousness, needs to nod in the direction of consciousness, or else avoids the issue by saying “for all practical purposes.” In our book we discuss nine currently contending interpretations of quantum mechanics. The Copenhagen Interpretation is the way I teach it to a class of technical physicists. The most famous interpretation other than Copenhagen is the so-called “Many Worlds” interpretation. Now, in the case of the cat story, if the atom is found in the box that has the cat and the Geiger counter which is tied to the bottle of poison gas, then the cat will be dead, poisoned by the gas. If the atom is found in the other box, the cat will be alive. If you did this many times, about half the time you’d find a dead cat and half the time an alive cat. Suppose you sent that atom into Schrödinger’s hellish contraption eight hours ago. And now you look in the box with the cat. If the cat is dead, a forensic veterinary pathologist would tell you the cat has been dead for eight hours. But if the cat is alive, the cat would be eight-hours hungry. Notice that you not only create the situation of the cat being both dead and alive, but you created the history of the cat dying eight hours ago, or being a perfectly healthy live cat. Schrödinger concluded that we cannot possibly believe that a cat could be simultaneously alive and dead. But that’s what quantum theory (“absurdly”) says. So, he reasoned, something must be wrong with the theory. The Many Worlds interpretation basically denies any unique reality. It also denies free will. You didn’t make a free choice because you made all possible choices. The Many Worlds interpretation would say that the cat was actually both dead and alive, but existed in two separate worlds, one in which it was alive and another in which it was dead. When you opened the box and looked in, you went into both of these worlds. One “you” went into the world where the cat was dead, and another “you” went into the world where the cat was alive. In the cat-alive world you went off and fed the cat some milk, and in the cat-dead world you went off and buried the cat. The Many Worlds interpretation is also called the “Many Minds” interpretation. It says there’s really only one world, it’s this quantum world where all possibilities are actually happening, but your mind has bifurcated. You’re only aware of one of these worlds. The Many Worlds interpretation basically denies any unique reality. It also denies free will. You didn’t make a free choice because you made all possible choices. Denying free will certainly involves consciousness, encounters consciousness at least. Another currently defended interpretation I just mention in passing to illustrate how far out some physicists are willing to go is the so-called “transactional interpretation.” It basically says everything is OK as long as you assume that the future can determine the past. For example, finding Schrödinger’s cat alive now causes the atom to have previously gone into the other box eight hours ago so that the Geiger counter did not fire and the poison gas was not released. Tom: OK, so let’s go on to the other enigma: the spooky actions at a distance. Do you have an illustration for Bell’s theorem and nonlocality that you could elaborate on? Bruce: I mentioned earlier the prediction of quantum theory that Einstein derided as “spooky actions,” that Bohr called “influences.” The theory says that what happens at one place can, without any physical force intervening, instantaneously influence what happens arbitrarily far away. And since what happens is determined by someone’s free choice, that free choice can “influence” remote events. What happens at one place can, without any physical force intervening, instantaneously influence what happens arbitrarily far away. And since what happens is determined by someone’s free choice, that free choice can “influence” remote events. We illustrate this enigma in our book by first proving Bell’s Theorem. The way it’s done in our book is a completely non-mathematical description of Bell’s theorem. The proof of the theorem starts with two assumptions: first, that things have objectively real properties independent of their observation. Properties of things are not created by observation. (This is assuming that there is a real world “out there” independent of our looking at it. Think about Einstein’s moon.) And second, Bell also assumes “separability,” that what we choose to observe here cannot have any immediate influence (or any influence without a physical interaction) on what is observed far-away by someone else. Starting with only these two most reasonable assumptions, reality and separability, Bell derives what is called “Bell’s inequality.” Bell proves (mathematically) that in a world satisfying these assumptions, a certain quantity has to be bigger than another quantity. We go through an equivalent proof, with less rigor, but without math. The enigma arises from the fact that real experiments violate Bell’s inequality, which implies that at least one of the two assumptions—reality and/or separability—is not true of our world. Our proof of Bell’s Theorem is a thought-experiment that we develop in the book with our “Alice and Bob experiment.” (It’s become standard today to use “Alice” and “Bob” as the experimenters; years ago physicists were more formal and used “A” and “B.”) The thought-experiment takes place in an imagined world that satisfies both the reality and separability assumptions. First, we create two “stick photons” that fly apart from each other. They’re in a “twin state,” which means that whatever polarization (i.e., alignment) one has, the other has the same. Their common polarization is random, i.e., we do not control the polarization when we create them. And, though unobserved, we assume that they have particular polarizations. This is the reality assumption. And of course they’re separating from each other at the speed of light, so what happens to one can’t have any physical effect on what happens to the other. This is the separability assumption. The “stick photons” we talk of in this thought-experiment do not necessarily behave like real photons or photons as described by quantum theory. They behave as photons would in a world that satisfies the assumptions of separability and reality. In our thought experiment, a series of photon pairs are generated. Alice uses a polarizer to determine the polarizations of the photons that come to her. (We show the photons as sticks in the figure, each with a definite polarization. We also show the sequence of measured polarizations. For example, number 1 is vertical, number 2 is horizontal, number 3 is horizontal, number 4 is vertical, number 5 is vertical, and so on.) At the same time, Bob measures the polarizations for the photons that come to him using a polarizer aligned at some angle to Alice’s polarizer. Clearly they’ll have to measure the same polarizations if their polarizers are aligned the same way. But now Alice rotates her polarizer to a new angle. Since their polarizers are no longer aligned, they don’t always measure the same polarizations. As we show in detail in the book, by considering how this difference between the polarizations measured by Alice and Bob depends on the alignments of their polarizers, they readily see a certain result called “Bell’s inequality.” It depends only on the assumptions of reality and separability we made; all other details of the Alice and Bob thought experiment are actually as irrelevant as are their particular names. Now the enigma arises by experimentally testing whether Bell’s inequality is satisfied in our actual world. In other words, do photons in our world behave in accordance with the assumptions of reality and separability, or do they behave as quantum theory predicts? Until that experiment was done this was an open question, and involved the crux of the Einstein/Bohr debate. Bell’s inequality was tested in actual experiments, first by John Clauser, then a decade later, more rigorously, by Alain Aspect. Consistent with the predictions of quantum theory, Bell’s inequality was shown to be violated. Either we don’t have an objectively real actual world (i.e., there are no properties independent of their observation) or there is no separability (i.e., there is a universal connectivity), or both. Therefore, at least one of the assumptions of Bell’s theorem (reality and separability) has got to be wrong in our actual world. (Bell, believing quantum theory would give the correct answer, expected them to be wrong in the actual world.) Either we don’t have an objectively real actual world (i.e., there are no properties independent of their observation) or there is no separability (i.e., there is a universal connectivity), or both. Henry Stapp at Berkeley has a proof of Bell’s theorem without making the reality assumption. So he says we know that separability is violated and that reality remains an open question. All this is really crazy, almost impossible to believe, but we have no alternative. What Einstein derided as “spooky actions” we now know to actually exist. Tom: So, with nonlocality demonstrated by physics, there’s this idea of an instantaneous connection between separated objects. It isn’t hard to see how this might lead one to start to think, well, telepathy might be explained by quantum mechanics. Bruce: Well, we say in our book that if ESP is shown to be real—and as physicists we’ve got to doubt it—but if it were, we’d know where to look for an explanation: Einstein’s spooky actions. At least I don’t know where else. Bruce: Bohr said, “If you’re not shocked by quantum mechanics, you haven’t understood it.” But then Bohr has also said it’s wrong to think that the task of physics is to find out how nature is. Physics concerns only what we can say about nature. Bohr is arguing that science isn’t supposed to tell us about nature, or about what the world is like. It’s only what I can tell you about my experiences—not about what really exists. That of course changes the fundamental goal of science since the Greeks, or maybe before. It seems a defeatist attitude. Einstein’s response was, “I want to know God’s thoughts.” If quantum mechanics reveals that we cannot describe the physical world, just our sense impressions of it, that’s either a cop-out or it’s some solipsistic revelation. It surely would seem to directly involve consciousness. I think it’s a cop-out. Tom: Yes, “What’s behind all of this?” So, is it fair to say that, even if quantum theory doesn’t tell us what’s really out there, it does put some constraints on what we’re able to say reality is like. For example, quantum theory says that reality is not locally real, to use a philosophical way of putting it. Reality can’t be that way because our observations directly contradict it. So it may not say what reality is, but it does say what reality isn’t. Bruce: Whatever you mean by “reality”? But I can agree with you. Tom: In your book you said that the quantum enigma hints at a worldview beyond our current worldview, and we haven’t yet grasped it. Do you have a sense of what that worldview might look like? The worldview quantum mechanics presents is surely not the view of the physical world by which we normally live our everyday lives. ...Does it say anything positive? Not that I can actually understand. Bruce: The worldview quantum mechanics presents is surely not the view of the physical world by which we normally live our everyday lives, basically the Newtonian worldview. The Newtonian worldview, which is, broadly speaking, the pre-quantum worldview, is the clockwork universe, sort of a deterministic picture except for the “mind.” And before quantum mechanics, physics could just say that “mind” is something for philosophers and theologians. Quantum mechanics denies that worldview. So if, for example, you’re using that Newtonian worldview to deny the existence of God (whatever that is), as some current books seem to do, then quantum mechanics denies that denial. Does it say anything positive? Not that I can actually understand. Tom: So, for you, quantum mechanics leads to this boundary, you might say? Let me ask you, Tom: I understand (not really understand) that the Eastern mystics, Eastern sages, talk about “universal connectedness.” What does that mean? Tom: In Buddhist philosophy, for example, there’s the idea that everything is interdependent. So in a certain sense you take the idea of non-separability to the philosophical level and say that you can’t really talk coherently about anything in complete isolation. You’re always presupposing some kind of relationship to something else. Bruce: Do I need Buddhist philosophy for that? I can just say, “that’s true”—even, in principle, very weakly in classical physics through gravitational interaction. In quantum physics it can be much more important, and mysterious. It’s still not significant for practical purposes in everyday life. But somehow people get pretty excited about universal connectedness, don’t they? Tom: This is where I think quantum physics and in particular the theory of decoherence has something to contribute. It shows how things that are fundamentally interconnected can nevertheless appear, relatively speaking, for all practical purposes, disconnected. Bruce: But don’t these sages say it tells us something about the way you should lead your life? Is this universal connectedness a big deal on that score? Tom: Yes, I think it is a big deal. It actually has radical implications for our lives if we take it seriously. As we grow up and just learn to interact with objects in our world, we develop an idea that things are separate from us. For example, for all practical purposes, this glass sitting here on the table exists independent of me. So much of my life conforms to this idea of separate, objective existence that I begin to take it as being true not just for all practical purposes, but really true. And so I actually experience things as really being this way. But then maybe I start to learn some quantum physics and I start getting a little upset because it starts telling me, well, maybe that’s not really what’s happening at a fundamental level. Maybe my experience of the world is false. Many sages say that there can be an immediate intuitive recognition of the nondual truth that all divisions between everything, including between myself and the world, are not ultimately real. There’s not an ultimate division or separation between anything. This realization is not just an idea or belief in some theory. It transforms experience at a fundamental level. And this has an automatic moral implication. If I’m no longer experiencing myself as cut off from other people, then I’ll tend to treat them better than if I’m just objectifying them as things in a separate world out there to be manipulated for my own benefit. So I think it does have a moral dimension. Maybe physics has encountered something beyond what we normally think of as physical. Something sacred? Bruce: Well, OK. I don’t suggest that anyone take me seriously here, but it seems fair to speculate (in maybe the sort of context you’re talking about) that maybe there is more to the world than we normally think—and it may turn out not to be quite so vague. Maybe there is actually a surprise waiting out there? Maybe physics has encountered something beyond what we normally think of as physical. Something sacred? But I don’t know what “sacred” means. Tell me about your organization, the Center for Sacred Sciences? What’s sacred science? Tom: The way we’re using the term, “sacred science” represents the idea that there’s an approach to religion or spirituality that has at least one thing in common with science, which is that truth is discovered by testing things for ourselves in our own experience. This view is quite different from the usual idea that religion is about believing some dogma, about taking things on faith, without question. Instead, the mystics take an experimental approach to the religious claims. For example, take the claim that everything is interconnected. OK, well, let’s see if we can actually test that directly in experience. Then you say, OK, well how do you do the experiment? Well, first you have to set up the apparatus, then you have to make sure it’s adjusted properly. Then you say, what’s the apparatus? And I say, well, it’s your mind. And you say, how do you have to set it up? And I say, well, it’s like a telescope and it has to be on a stable platform, you have to polish the lenses, they have to be nice and clean, they have to be aligned, you have to get all of this right. So, first you have to train your mind to be in a condition where it’s capable of observing certain things that it can’t normally observe. So, just as in science where we need instruments such as telescopes to observe certain things that we can’t normally observe, the idea is that we need to train our mind using meditation techniques to refine the attention so that it can be very stable and clear. Normally our attention is scattered, it’s constantly moving around. One of the things that meditation can do is train the attention to stay still, so that like the telescope, it’s not wobbling all over. You could never see anything if it’s always wobbling. Then we have a chance of directly testing in our own experience whether everything is interconnected or not, because universal connectedness is not something that can be seen clearly with a distracted mind. So the doctrines are not to be taken on blind faith, but are more like theories to be tested. And you might find that some doctrines are true in a limited way. Just as in physics, Newtonian mechanics is just of limited validity, it’s not universally applicable to everything, but it’s not completely false either. And so in a similar way you could say the whole idea of a God is useful, in a way that say, Newtonian mechanics might be useful. You can work with that, but then at a point you leave it behind. So none of the doctrines are viewed as ultimately true. One of the fundamental ideas that the Center subscribes to is that even though the religions have different scriptures and doctrines, they look quite similar if you read the mystics in these different religions. By “mystics” I’m referring specifically to the contemplatives who took a disciplined experiential approach to investigate the truths, who actually looked in their direct experience to see what is true and what isn’t. If you look at what they discovered in their own experience you’ll find some remarkable similarities. They’ll express it in different ways, of course, but the principles are the same. As Aldous Huxley argued, there are certain ideas that can be found in all of these different religions, a universal doctrine. In an etymological sense, a doctrine is just a teaching. Well, what do you do with a teaching? You can go test it, make it your own, see if it’s really for real, and see what its limits are, play with it, be a real scientist about it. Or you can just take it on faith and live as best you can by it. Or I guess you could just paste it on your wall and look at it. There are lots of different ways to work with a teaching. Bruce: When I was a graduate student my thesis advisor, Charles Townes, was religious in an active sense—I think he was a deacon of the Riverside Church in New York. He once talked with me about what he believed. It seemed vague. I remember saying that I believed, more or less, the same thing, but the difference was I didn’t feel I had to do anything about it—beyond the normal intuitive moral injunctions. Would one test anything beyond that feeling? Tom: For the mystics, the whole point is to actively test the beliefs. The doctrines are not so much beliefs as hypotheses for testing. Tom: Yes, well, some of the mystics were burnt at the stake just because of that! Fortunately, these days mystics are treated much better. But they can still upset some religious believers because they question accepted beliefs and emphasize the mystery beneath them. Maybe the mystics are similar in this respect to the physicists who question the Copenhagen Interpretation and turn to face the mystery of the quantum enigma.